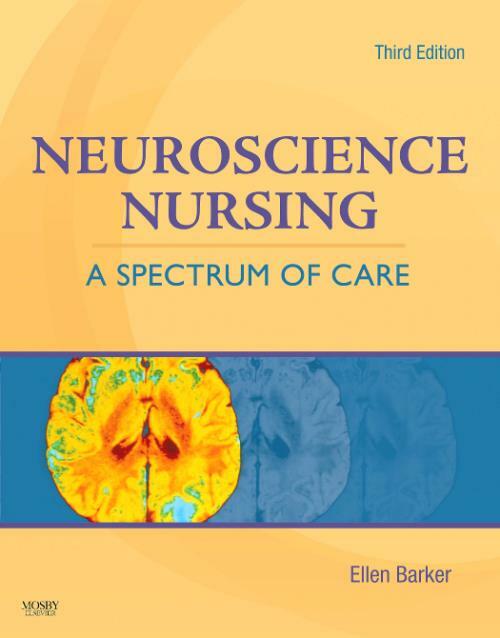 Neuroscience Nursing: A Spectrum of Care, 3rd Edition addresses the complicated needs of neuroscience patients and equips providers with in-depth knowledge of neurophysiology, neuroassessment, and neuromanagement to help provide the best patient care. This 3rd edition's carefully refined features enhance the book's readability, and the new 8-page color insert with 40 plates features important information on neurophysiology, diagnostics scans, and disorders such as aneurysms. Readers will find comprehensive information on foundations in neuroanatomy and data collection; thorough discussions of neurologic disorders; management considerations for frequently encountered neurologic conditions; and legal and ethical issues relevant to life care planning for the neuroscience patient. 21. Management of Dementia and Motor Neuron Disease-NEW! Advance Practice Nurse in Private Practice.